A caster is a wheeled device mounted to an object that enables easy rolling movement of the object. Casters are essentially a wheel on a mount. Casters are used in a wide variety of applications including office furniture, hospital beds, automotive factories and much more. They range in size from the small furniture casters to massive heavy-duty industrial casters that can support 50 tons. 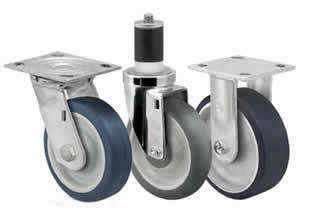 Plate Casters- Plate casters feature a top plate that contains four holes used to bolt the caster to the application. 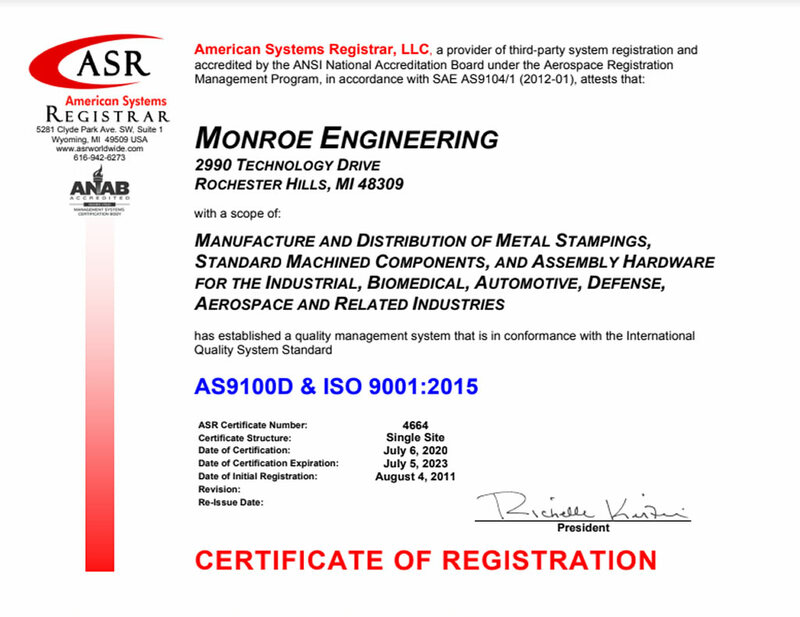 Top plates can have various hole options that can match mounting requirements. Stem Casters- This type caster has a stem to be used for mounting. These stems can be threaded, rounded or square. Locking Casters- There are several devices that can be added to casters that features a brake or have caster brakes as an option. This helps to prevent the wheel from swiveling or rotating. Hollow Kingpin Casters- This type of caster has no stem but has an opening for a bolt. Great option if you can't find a caster with the thread size that is required. Are you looking for Casters?